What does it mean for your child to be diagnosed with bipolar disorder? Where can you go to understand mood disorders, depression, and the highs and lows associated with this condition? 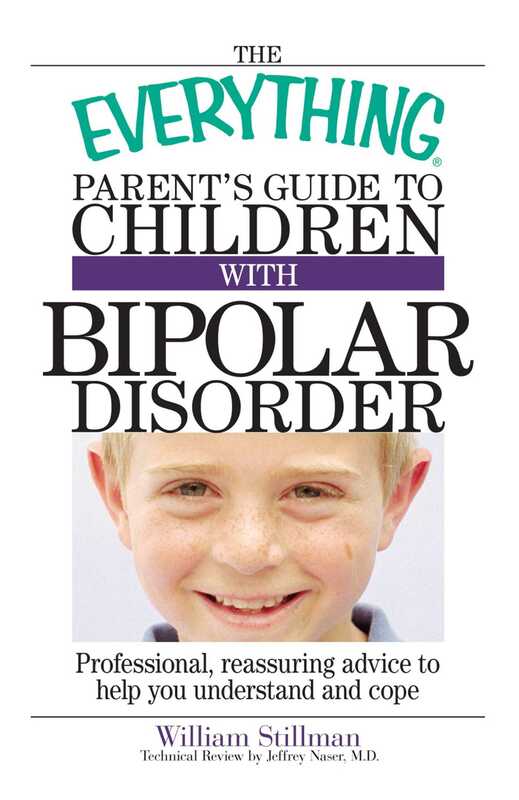 The Everything Parent’s Guide to Children with Bipolar Disorder is an authoritative handbook designed specifically for parents with questions about their child’s emotional well-being, options for medication and therapy, and educational considerations. Complete with professional advice to help you cope with daily life, this all-inclusive resource provides reassuring answers for you and your child.